Kennesaw, Georgia — Constitutional Carry (House Bill 2) was officially dropped into the “House Hopper” yesterday at the Capitol in Atlanta. 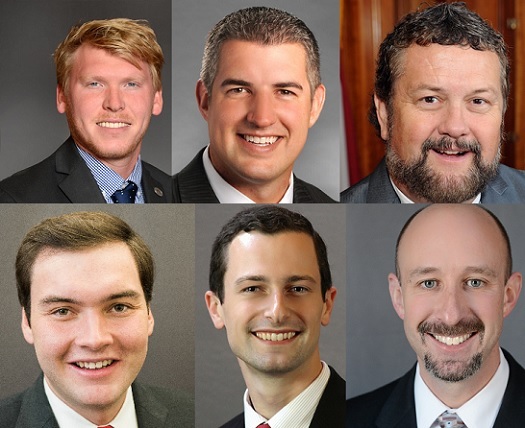 Lead sponsor State Rep. Matt Gurtler was joined by State Reps. Kevin Cooke, Emory Dunahoo, Michael Caldwell, David Stover, and Colton Moore as original cosponsors of the legislation. Here’s the bad news — the establishment gun lobby and anti-gun Republicans at the Capitol in Atlanta are openly lobbying and even threatening legislators — telling them not to support Constitutional Carry. Please watch my State Capitol Update below then click here to send a pre-written email to your State Representative encouraging them to support Constitutional Carry (HB 2). After you’ve done that, if you’ve yet to renew or join with GGO for 2019, please hop on board right now. P.S. Sign your petition to pass Constitutional Carry in Georgia!